How I Gained It: My abuse of sugar, as a substance to provide me that rush, began as a small child. I knew I had a problem because I could never understand why all of my friends were able to have entire pantries full of snacks and treats at all times. The pantry would not stay stocked in my house for longer than a day because instead of eating treats occasionally, I would eat until the entire stock was gone. This continued to be an on-and-off struggle for me throughout my adolescence and into early adulthood, but reached its peak when I entered into an extremely unhappy and dysfunctional marriage. What started as a problem with overindulgence and lack of moderation became a full-fledged addiction. For about two years, I stuffed my emotions down by filling myself with food: cheap, easily accessible, nutrient-deficient junk food. I ate from fast-food restaurants daily and made frequent trips to the grocery stores for chips, candy and cakes. I’d go to the movies by myself with a giant purse full of binge food just so I could get my high in private. I would only binge in private. But what I kept trying to hide from others became extremely apparent when I continued to gain weight and topped the scale at 271 pounds. I was tired of living the miserable existence that comes with having over 100 pounds of excess body weight. I was tired of being uncomfortable, unattractive and alienated. It was very unpleasant for me, physically, to have to carry around the heavy burden of morbid obesity. Simple tasks, such as getting in and out of the car, carrying groceries into the house or putting away laundry were exhausting and torturous. I was uncomfortable in every single thing I did, from breathing to sleeping. Every moment of my existence was terribly burdensome. I also felt a lot of shame as a morbidly obese person. I wore the same outfit every day because I couldn’t bring myself to go out and purchase anything for the size that I was. I left my house to either go to work or go get food, but otherwise I was on my couch, in front of the TV, with food. I couldn’t do anything I wanted to do because I was uncomfortable in my own skin, and therefore uncomfortable around other people. It kept me from making friends, participating in activities that I would have otherwise enjoyed. I was a perpetual loner. Breaking Point: July 27, 2007 is when I “snapped” and decided that I had to get the weight off once and for all. Food issues and my morbid obesity was a form of slavery, and I was determined to break free in order to live the life I desired. I had finally grown weary of starting over every single day. I knew my youth was going to be gone soon. I rationalized that if I was going to enjoy my youth at all, it was now or never. 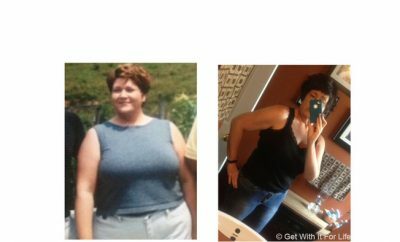 How I Lost It: Losing weight is the hardest thing I have ever had to do. The journey began slowly. I became more mindful of what I was putting into my body. I slowly began replacing soda with water, candy bars with high-fiber snacks, fast food with home-cooked meals. I began by eliminating fast food and food that comes from packages (like chips and candies) and working through the process of learning to “eat clean”. It was not easy at all, considering I had pretty much been living off of fast food and junk food for years. Breaking any addiction requires a certain amount of suffering, and suffer I did. It was misery. I experienced legitimate withdrawal symptoms. I had intense cravings. This was beyond just “being on a diet”. It felt like I was in detox for the first six months. During those six months, I lost about 40 pounds. In 2008, I joined SparkPeople and began to look through the success stories and food logs of fit and healthy members. I tried to mimic how they ate, which changed my diet dramatically. I began to eat significantly more fruit and vegetables and increased my exercise. I started walking in the neighborhood and going to the gym. This was also another difficult thing for me to do, because I had become so accustomed to living a sedentary lifestyle. But, every day, I forced myself to do some type of exercise. I was walking more, doing the elliptical trainer at the gym and hiking three miles at a time. Eventually I was able to start running for a few minutes, here and there, on the treadmill at the gym. 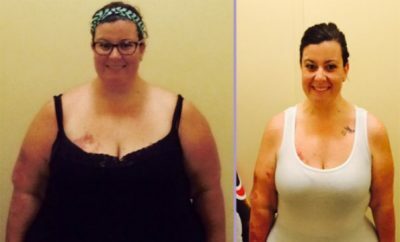 My weight continued to drop, and I began to start feeling better about myself. It wasn’t long before I started running outside. Next, I ran my first 5K, then 10K, then half marathon. A year later I was running a full 26.2 miles! I experimented with many diets throughout the process of losing weight, but have indeed made this a lifestyle change. When I first began my journey, I had little expectations of transforming my life from a morbidly obese, sedentary person to a fit and healthy person. I felt somewhat hopeless. When I found SparkPeople, it really drove home the possibility that I could make lasting changes and achieve success. It took about two years to lose the bulk of the weight and then another three years of “ups and downs” in maintenance. Then, in the last two years, I have finally lost the last 30 pounds to reach a comfortable weight. Now, I love and enjoy healthy, nutritious, fresh foods on a daily basis. I really enjoy food and the experience of eating, but it’s no longer a destructive behavior that causes guilt, shame and weight gain. I feel fueled, nourished and energized! I exercise every single day, and don’t even have to force myself to anymore; it is now a habit and a consistent aspect of my life. I participate in sports and fitness classes that keep me engaged and that I consider fun. I take my dog hiking in the woods. I run races. I do yoga. I am a better person because of my weight loss. I have more energy to keep up with my two young daughters. I have confidence to be a good wife to my husband. I have a better work ethic because I’m more fit, rested and can move about with ease. I no longer shy away from opportunities to socialize, such as going to church or birthday parties. I have been able to travel and see the world — something I never would have done as my obese self. I am able to do things I never dreamed possible. I’m in the perfect career now, working as a psychiatric nurse to help others with addictions, and finally, I look cute in a pair of jeans! Fighting that battle and overcoming my food addiction was the hardest thing I’ve ever had to do. But I believe I’m a stronger person for it and have learned incredibly valuable life lessons that continue to help me grow and mature into a healthy, whole, happy and content individual. I am no longer a slave to my addiction. That is very liberating! Giving up sugar and processed foods; white flur, etc. is a great start. Bio oil is great for stretch marks, skin discolouration etc. Been using it for years. 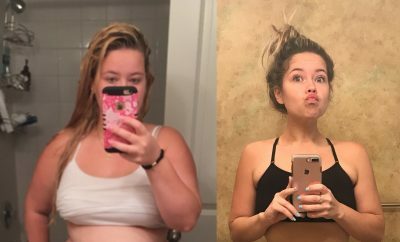 Love the weight loss stories, they are truly inspirational! I know they can do miracles – but stretchmarks? How?? Wow congrats and amazing story and very inspiring too. I can actually relate to some parts of your story. Wow! :O But what happened with the skin on her stomach? You can get rid of loose skin all right, but nothing can make the strechmarks disappear. Great job! I’m working on my journey as well! Great job. Amazing story. Very inspirational. Thank You for sharing!! This gives me hope. You did an amazing job! Congratulations!! you have done a great job kar i have s+ent much too much time reading stories on your site today than i actually had,lol. Congratulations and thank you for sharing your story and both inspiring and helping others. Twylia Robbins! Amazing! This will be US!!!!!!! Wow good job, you look amazing. Raisa Slesarchuk it’s all about the damn sugar! Dale..first part of story could have been written by me. There is hope. I’m going through detox to sugar now. It’s Hell but I want to get to the other side. Congratulations. Congrats. I know the difficulty of overcoming sugar addiction. My trainer realized I was addicted to sugar. I had be eating fairly healthy for awhile at that point but changed from fast food and sweets to lots of fruit. He put me on detox and I had withdrawal systems. It was hell for the first couple weeks. But so worth it now. As I don’t have the cravings as bad and food does not control me like it used to. That’s great….but where is the extra skin? Congrats girl…. I was in a group with you years and years ago when u started the journey… Couldn’t believe my eyes when u popped up on my feed. So happy for you!!!!!! Wow Marie ! You look good ! Congrats ! I’m book marking this one. I too am a die hard sugar addict. I’m 3 days soda-free today and I’m starting to feel better!! Please help me do this…. Congratulations! I am also addicted to sugar and have zero willpower. You are an inspiration for me. I love the stories on The Weight We Were.com! 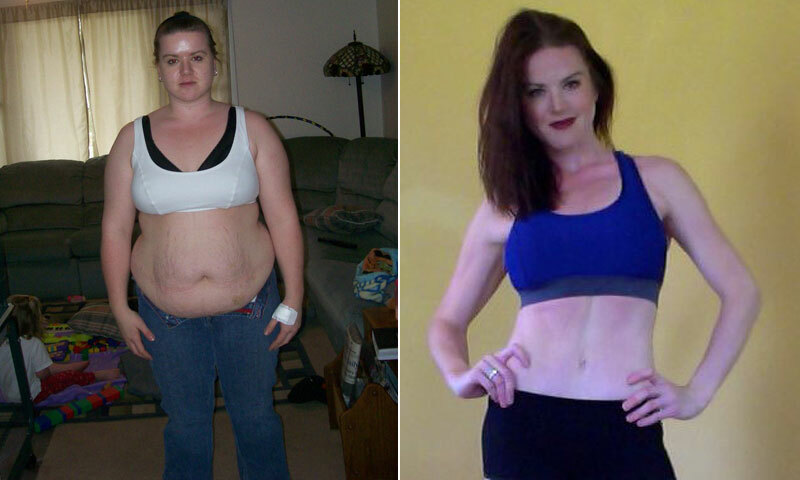 Wow Marie Dozier what awesome transformation. You once shared your story with me in nursing school and I still could not believe it but seeing this before picture and knowing the after makes a lot of sense. Thank you for sharing your story once more, it remains a constant reminder to me as I am on my journey that yes it can be done. Very inspiring. I am where you were so many years ago. Getting ready for my turn. Looks daunting but it has to happen. Reading your story is extremely helpful. Congratulations and keep it up!! You deserve it. So do I. Did u have surgery to remove the excess skin? WOW!! 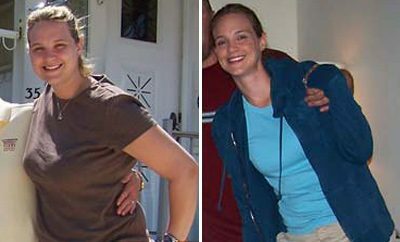 I absolutely love seeing the before & after pictures of outstanding lifestyle transformations like this!! but I also love the fact that you talked about the psychological aspects of transforming from an obese to a fit & much healthier person!! I wish more people would realize that you can’t go on the crazy strict diet programs & expect long-term results! What an amazing story! Congratulations on your weight loss. Staying motivated can be hard at times but have done it. Again, congratulations! WEIGHT – What’s UP with THAT?